When artists who've already built lengthy careers elsewhere over a period of years (sometimes decades) come to record for Germany's ECM Records, there is occasional trepidation amongst some of their longstanding fans. This is, after all, not just about facilitating the release of recordings; this is a label with a vision, a very personal aesthetic. With over 1,100 titles released across more than four decades, and an expansive stylistic purview that invariably reflects Manfred Eicher's unmistakable imprint, there's an unsupportable myth that the label forces its own aesthetic onto the artists with whom the label head/primary producer chooses to work. 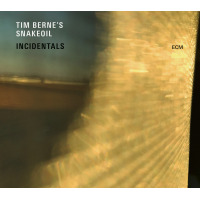 With Snakeoil, his first ECM recording as a leader, alto saxophonist Tim Berne does, indeed, go places his nearly forty previous recordings don't, but there are more than enough of his longstanding markers to support what is closer to the real truth about working with ECM. Eicher is, indeed, an active producera de facto added member to any group he producesbut it's still all about collaboration, about finding that nexus where he and his artists can meet. 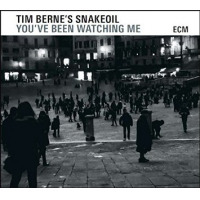 That Berne has chosen not to work with any of his usual suspects from past years goes a long way to defining Snakeoil's distinctive place in his discography. 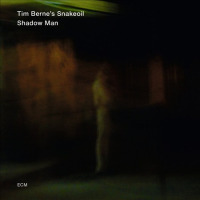 When it was announced that Berne would be recording for ECM, it seemed a certainty that pianist Craig Tabornwho released his own ECM debut in 2011 (the impressive Avenging Angel), and with whom Berne also participated on two other sets for the label in recent years, guitarist David Torn's Presenz (2007) and bassist Michael Formanek's The Rub And Spare Change (2010)would be involved. 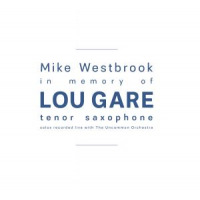 Instead, with both Science Friction and Hard Cell (the two groups in which Berne and Taborn both played) reaching end-of-life, the saxophonist's Snakeoil only appears to represent a first meeting, the quartet having worked together as Los Totopos for the last couple of years. With Berne and clarinetist Oscar Noriega also collaborating in pianist Matt Mitchell's Central Chain, there's plenty of preexisting chemistry all around, made all the richer by drummer Ches Smith's textural approach on a variety of percussion instruments, lending Snakeoil even greater breadth. 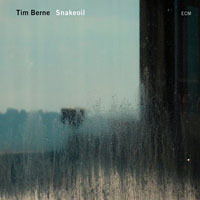 With Berne's own work focusing more on free improvisation in the past few years, Snakeoil signals a welcome return to his very particular marriage of form and freedom, but what Eicher brings is even greater focus, and a certain spatial element that doesn't stop the music from soaring to peaks of dynamics and density, albeit never at the expense of absolute transparency. Berne's complex compositional constructs provide detailed roadmaps from which, as ever, the group is able to expand into improvisational forays that would be remarkable enough, in and of themselves, but which are all the more impressive for their almost uncanny recalibration when Berne's knotty phrases signal a return to form. That Berne's oftentimes convoluted writing breathes the way it does is the result of a confluence of factors: the saxophonist's early experience in complex ideations, cutting his teeth with Julius Hemphill and influenced by other woodwind multi-instrumentalists/composers including Henry Threadgill and Roscoe Mitchell; the opportunity to work in a studio where more pristine conditions allow the kind of close listening that's essential to music this complex and open-ended; Eicher's guidance, beyond the recording process and into discrete musical details; and, of course, the shared chemistry of this quartet of remarkable players. As capable of navigating almost unfathomable charts as they are an unfettered freedom of expression that oftentimes borders on restraint yet never feels confined by it, Noriega, Mitchell and Berne intersect with absolute simpatico, bolstered by Smith's unpredictable colorations ranging from timpani to gongs, while never overstating, overstaying or overplaying. 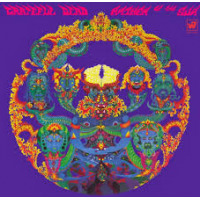 Snakeoil's greatest magicnot entirely new to longstanding fans, but still providing plenty of cause to pause for even the most fervent Berne completistsis how Berne's undeniably rigorous writing manages to retain the loose interpretive feel that's prerequisite to giving his group the freedom to shape it into something that extends far beyond the written page. The interlocking parts that gradually coalesce over the course of the first five minutes of the opening "Simple City" are anything but simple, as Mitchell moves from an introductory engagement with Smith that gradually leads to Berne's first solo of the set, the trio gradually building over shifting piano arpeggios until a sudden rallying to even greater form as Noriega joins in on bass clarinet, doubling Mitchell's lines so precisely as to create a single, nearly indistinguishable voice. 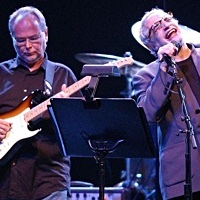 Noriega then takes an extended duet with Mitchellthe two just as uncannily attuned in dynamics and space, with the sparest of support from Smithgoing to places so quiet, of such rarified pointillism, that following a brief drum and piano duo, the return of a conjoined theme by Berne and Noriega emerges as a remarkably seamless transition back to form. 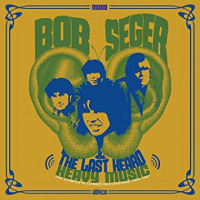 And that's just the first of six Berne compositions on Snakeoil that range anywhere from seven to fourteen minutes. The balance of Snakeoil is just as unpredictable and fresh. Throughout, the darker sectionswhether they're improvised, scripted or, as is so often the case, simultaneously both and neitherthe completely improvised passages are often indistinguishable from the scored parts, and vice versa. That Berne and his group succeed in creating a context where freedom to coexist in such particularly seamless confluence makes Snakeoil a milestone in the saxophonist's career. 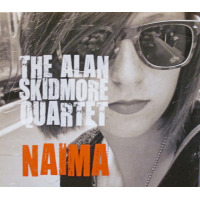 The virtuosity of the quartet is never in question, and yet there's a refreshing lack of posturing and an "egos at the door" service to the music. Like pianist Marilyn Crispellanother left-of-center artist who has come to the label and successfully combined preexisting markers of an admittedly more expressionistic bent with newfound lucencySnakeoil represents an undeniable shift for Berne. 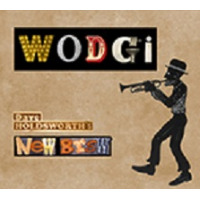 Still, when compared with earlier recordings like The Shell Game (Thirsty Ear, 2000) and Science Friction (Screwgun, 2002), Snakeoil represents a reinvented modus operandi that, in collaboration with Eicher, introduces even great focused specificity and a synchronous new group in what will hopefully be the start of a long and fruitful relationship with ECM Records. Tracks: Simple City; Scanners; Spare Parts; Yield; Not Sure; Spectacle. Personnel: Tim Berne: alto saxophone; Oscar Noriega: clarinet, bass clarinet; Matt Mitchell: piano; Ches Smith: drums, percussion.